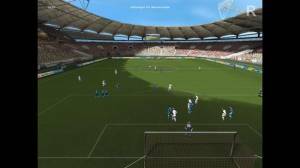 2005 Real Football/Soccer is the second game in the series and the perspective was changed into an isometric view. The game is once again fully licensed and offers different game modes: Quick Play, Exhibition, Cup, League and Training. Contrary to the previous games, a few famous clubs such as Liverpool and AC Milan are now also available, next to the national teams. 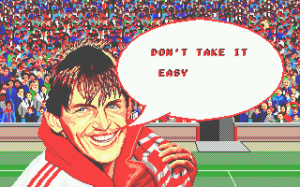 The core gameplay remains: three buttons for actions such as tackles, passes and shots, but now with the addition of a power meter for the players, which can be maxed out after successful actions. 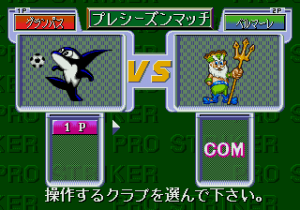 Other novelties include crosses, actions in the air, a double tap on a movement key to sprint, and player-controlled movement for the keeper during penalties. 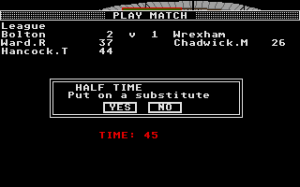 Prior to a game, the player can set the formation and change the positions. The players still have individual skills based on four settings.